(Nanowerk News) Graphene – a one-atom-thick sheet of carbon with highly desirable electrical properties, flexibility and strength – shows great promise for future electronics, advanced solar cells, protective coatings and other uses, and combining it with other materials could extend its range even further. 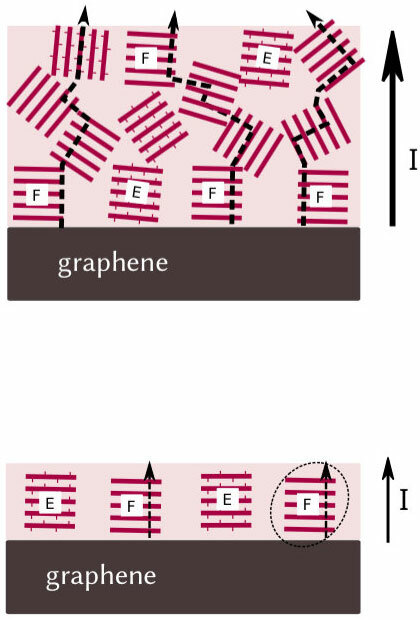 Experiments at the Department of Energy’s SLAC National Accelerator Laboratory looked at the properties of materials that combine graphene with a common type of semiconducting polymer. They found that a thin film of the polymer transported electric charge even better when grown on a single layer of graphene than it does when placed on a thin layer of silicon (Advanced Functional Materials, "Enhanced Vertical Charge Transport in a Semiconducting P3HT Thin Film on Single Layer Graphene").